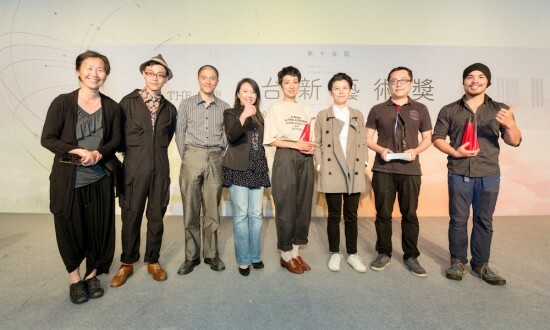 The winners of the 15th Taishin Arts Awards, including Ghost Mountain Ghost Shovel Art Collective, Huang Ya-li, Xie Zhongqi, LipingLiping, Liu Fang-yi and Lee Shih-yang in the Visual Arts category; Annual Grand Prize Winner Chia-wei Hsu; and Liu Kuan Hsiang in the Performing Arts category. The winners of the 15th Taishin Arts Awards were announced at an award ceremony in Taipei on May 13. Sponsored by the Taishin Bank Foundation for Arts and Culture, the Taishin Arts Awards honor the most outstanding works in multiple expressive disciplines each year, with the Annual Grand Prize winner taking home NTD 1.5 million in prize money. This year’s Annual Grand Prize winner is Chia-wei Hsu, who was recognized for his exhibition “Huai Mo Village” at the Hong-Gah Museum in Taipei in 2016. 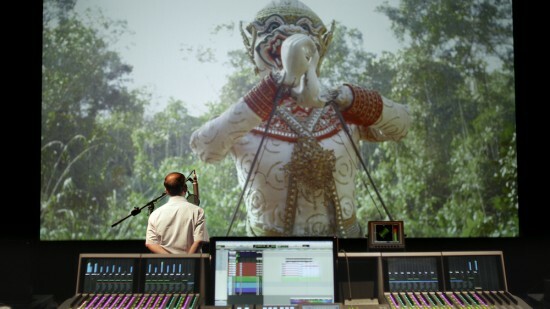 The centerpiece of the exhibition was Hsu’s eponymous video investigating ongoing military tensions in the border region between Thailand and Myanmar and their connection to the Cold War. Alongside Hsu, the other prize winners were Ghost Mountain Ghost Shovel Art Collective, Huang Ya-li, Xie Zhongqi, LipingLiping, Liu Fang-yi and Lee Shih-yang in the visual arts category for their live art project on the reception of the avant-garde in 1930s Taiwan, The Black Waves, and Liu Kuan Hsiang in the performing arts category for his work inspired by his mother’s battle with terminal cancer, Kids. Each received NTD 1 million in prize money. The format of the Taishin Arts Awards has undergone changes in recent years. This year saw a return to awarding separate honors in the fields of visual and performing arts, with the Annual Grand Prize awarded to works from either category. The new structure is intended to reflect both the specificity of individual disciplines and uphold the interdisciplinary spirit of the award. The awards also launched a new dedicated website with information on all the artists under consideration, including videos and interview transcripts introducing them and their work. Above: Annual Grand Prize winner Chia-wei Hsu’s “Huai Mo Village” at the Hong-Gah Museum, 2016. Below: The winning work in the Visual Arts category, The Black Waves, by Ghost Mountain Ghost Shovel Art Collective, Huang Ya-li, Xie Zhongqi, LipingLiping, Liu Fang-yi and Lee Shih-yang. This year, the award ceremony itself offered no shortage of theatrical elements, as it was directed by Fu Hong Zheng of M.O.V.E. Theatre. The MCs, Hsu Po-ang and Huang Yulin of Po You Set, evoked the two-person comic acts of Chinese opera in their appearance and delivery, while other performers included the percussionist Chen Yi and theatre performers Liu Kuan-ting and Lu Ming-yao. The award ceremony was broadcast in collaboration with UDN Video. Presented in a special spatial construction designed by architect Yu-chih Hsiao, works by the finalists were on view in the ground floor lobby of Taishin Tower from April 10 to May 26.